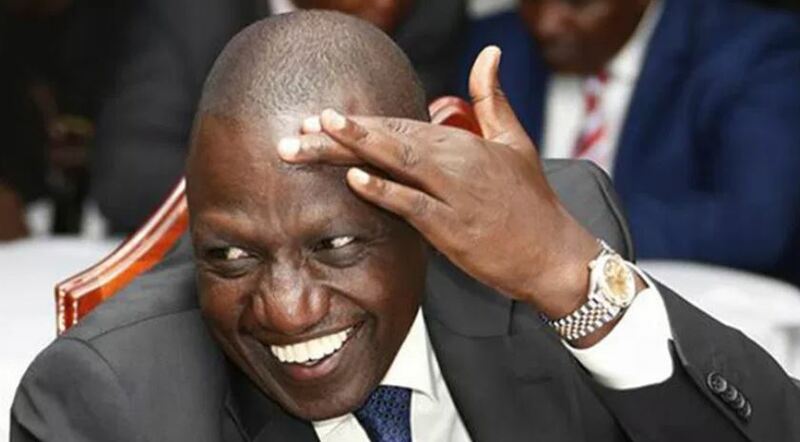 I think we can all agree that Deputy President William Ruto is one of the most charming politicians in the land. Despite the alleged ‘corrupt and land grabber’ tag that always follows him wherever he goes, the DP has clearly mastered the art of crowd-pleasing. 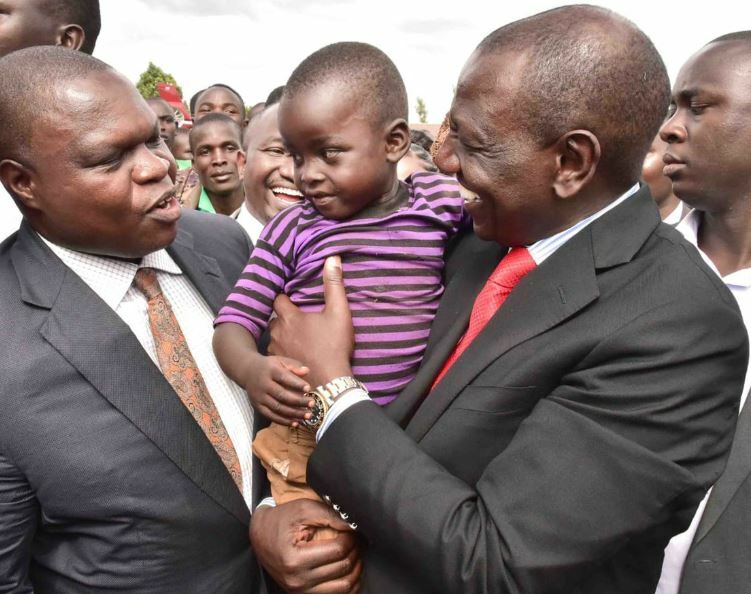 The self-proclaimed “hustler” is also a man of the people and with 2022 fast approaching, Ruto’s charm offensive has been on a real high. 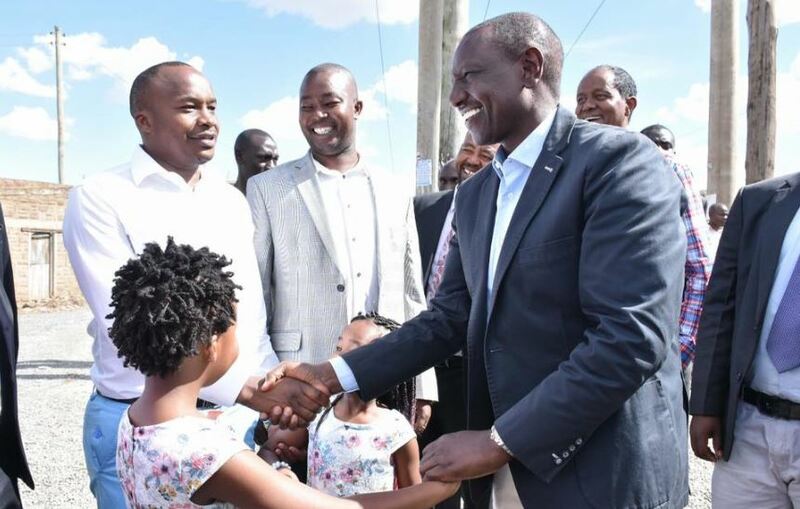 In his almost-daily traversing of the country, otherwise known as Kutangatanga, DP Ruto has been photographed interacting with commoners, usually with a big smile on his face. And the DP is not taking any prisoners as he slowly ascends to the top seat; he has also been charming his way into children’s hearts, with the most recent being MP Jaguar’s daughters. 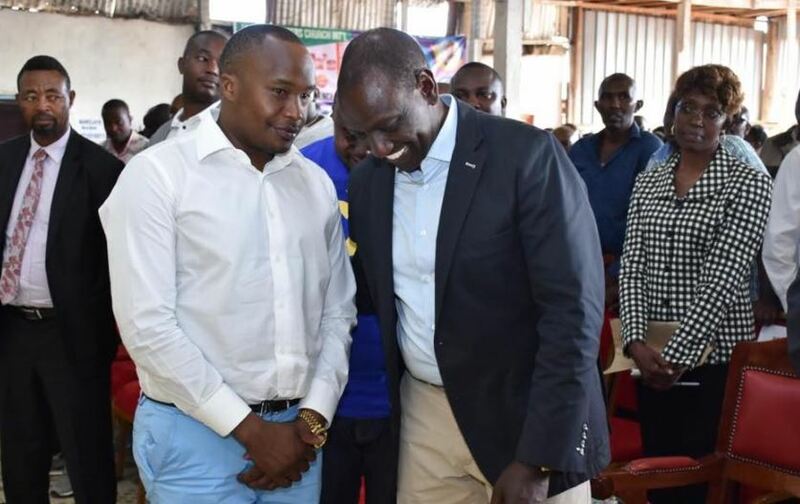 DP Ruto met with Jaguar and his two young daughters on Sunday at the Soul harvester international Church in Dandora, Nairobi. 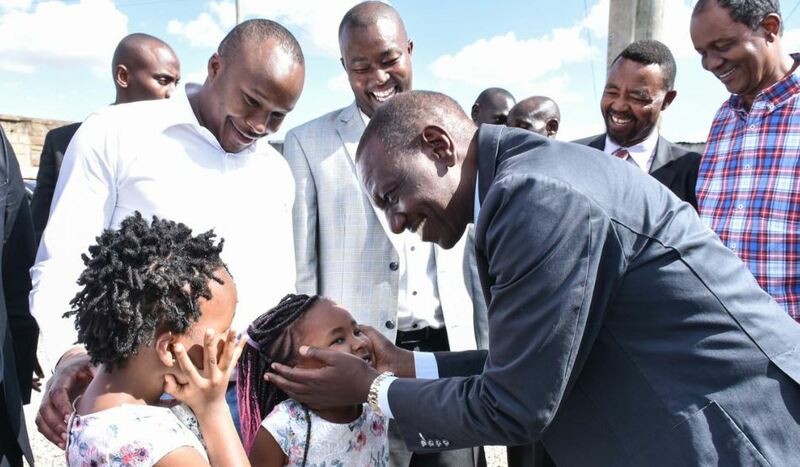 From photos shared by the Starehe MP on social media, DP Ruto clearly made an impression on his two daughters. One of the photos shows the DP cupping one of the girl’s face while the elder sister, Tamara Wambui, looks on with her hands on her cheeks. In another DP Ruto is seen holding hands with Tamara as he shakes hands with Jaguar. While we may never know what Ruto talked about with the girls, we can only assume it was an “abujubujubu” moment. Here’s another recent ‘victim’ of Ruto’s charm offensive in Kisii.